Have you been waiting to catch the amazing chiffon embroidered collection 2019 by Motifz? If yes, then this is the right place for you! We have finally come up with the freshly launched collection of Motifz and this collection is definitely becoming the main center of attraction for sure! 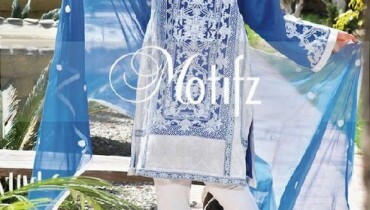 Motifz is known as the top leading clothing brands of Pakistan fashion world with the highest popularity framing in the middle of the women category. 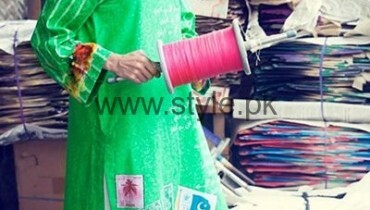 Their prêt wear dresses, embroidered dresses and evening wear formal collections have been always remained favorite among the women. In this brilliant designed chiffon embroidered collection 2019 by Motifz, the fashion house is bringing out the pretty and much lovely dress pieces that are much excellent designed out in the perfect finishing taste. Elegance and stylish zone effects are part of this collection line dresses which women would love to wear all the time! Check out this dress piece! Being looking into the embellishment of the dresses, the collection outfits are stunning put with the heavy embroidery work where the taste of the stone and motifs has been brilliant stroke out. You would be finding all the dress piece designs to be complete different from one another that adds an extra attraction into it. The shades of the colors are so outstanding painted upon with the multi color effects being part of it. Women can stylishly add this collection in their wardrobe to wear it on the family parties, get together events and for the formal gatherings. Latest and new styles of fashion trendier concepts have been added right into this collection line dresses that would make you fall in love with this collection line for sure. You would love buying all the dresses in this collection. For all the ladies out there here we have the entire designs album from the most awaited chiffon embroidered collection 2019 by Motifz! Pick up your favorite dress piece right now!